Though it has been statistically proven that taking a plane is no riskier than taking a bus, people do have reasons to put extra caution on air travel safety, especially in a time replete with terrorist threats. A major line of defence must be the various sections of the airports, which, as a gateway to the outside world and transportation hub of the city, has always been on the top of the safety list of the government and all related authorities. Dahua’s Airport Solution is an intelligent security system to help ensure the safety of the airports. First of all, an effective solution requires a complicated collaboration of multiple (sub)systems such as monitoring system, alarm system, access control system, network transmission system and management platform. As is known to all, the more steps and players it takes, the higher likelihood for a mistake to occur. Secondly, airports include a variety of places such as terminal areas, parking lots, office areas, freight areas, front desk areas (including the square in front of the terminal building), the flight areas, hangars, the perimeter area and so on, each of which operate on vertical management system. Yet due to the diversity of places and the complexity of personnel & cargoes coming in and going out in huge flow, there are too many risky elements to control. Thirdly, it’s not only about accuracy but also about swiftness when it comes to airport security. Safety should bring efficiency and not the other way around. For example, in April 2017, a drone flew into Chengdu Airport, resulting in the runway closing down for 80 minutes, the loss of which was estimated as at least 10 million dollars, not to mention collateral damages in the broad sense. Designed to solve all the difficulties mentioned above, Dahua’s Airport Solution is a unified security system combining multifunctional HD surveillance cameras with deep-learning AI that can analyse the big data to get the target, be it a car, a face or a series of numbers. In terms of vehicle management: you can adopt all-in-one cameras to capture and recognise license plates of vehicles accessing the airport. This will trigger the alarm when detecting illegal, stolen, blacklisted, hit-and-run, crime-related and other suspects’ vehicles. Covering the whole route of a vehicle, from entrance highway, to parking lots and then to exit, the surveillance system can effectively assist security guards and police to keep a smooth service, and respond quickly when things go wrong, even if it’s just something from the car that was left behind due to carelessness. In terms of passenger management, the same full coverage of the security system also applies to this, from someone stepping off the car to one’s entering terminal building and checking-in area and all the way to the last step to the boarding gate. The HD surveillance cameras endowed with deep-learning AI have world-leading accuracy in face recognition and e-passport verification. Any suspect, should they show up in the airport area, will at once trigger the alarm. Dahua’s Airport Solution also takes care of another crucial part of airport that is the perimeter area. One must resort to special equipment like thermal imaging cameras to keep the safety of the said area. An example of this is Dahua’s solution for one specific airport, which covers a perimeter of 30 km and boasts an annual throughput of 30,000,000 people and 8,000,00 tons of cargo. Dahua chose to use a 100mm lens with a resolution of 640 x 512 and set the installation height at 5M, which detects 1.8m x 0.5m, showing people from within 3000m. The perimeter will be well covered for intruder detection purpose with 10 cameras. 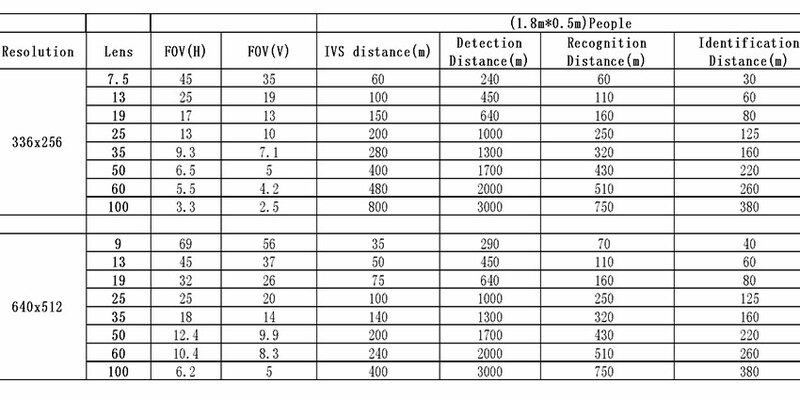 The intelligent analysis of IVS (intelligent video system) requires 10 x 10 pixels, under which condition, each thermal imaging camera can detect and analyse objects from within 400m. There is in total 12km of perimeter length in need of such cameras, so Dahua chose to place 30 there, totalling 40 thermal imaging cameras to solve the problem. It should be noted that Dahua’s thermal imaging technology has the following advantages: PTZ function, long distance surveillance (which can detect a vehicle 8.8 km away), long distance zoom, binocular lens (optical and thermal imaging lens), and strong intelligence (which can detect intrusion). 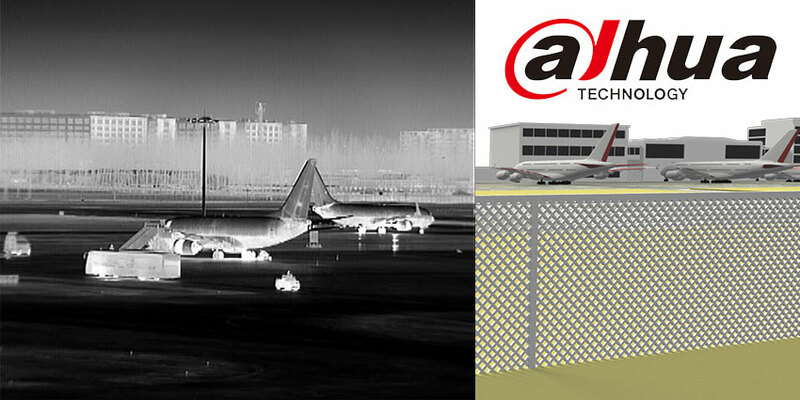 Compared to alternate perimeter protection equipment on the market today, such as vibration fibre sensor and IR beam sensor, thermal imaging camera has higher accuracy and less false alarm while directly providing video to verify. Dahua has established stable cooperation with world-renowned platforms like Genetec, Milestone, Avigilon, AXXON, ISS, infusing Dahua’s Airport Solution with more possibilities. Supported by strong R&D resources and good working relationships earned in multiple previous collaborations with partners, Dahua can ensure seamless integration whether it’s front-end IPC or back-end NVR, fulfilling different demands of clients and building a sound security system for the airport. In future, Dahua will keep investing in R&D of cutting-edge technologies into the realm of civil aviation video surveillance solutions. With a mission of “Safer Society, Smarter Living”, Dahua will continue to focus on “Innovation, Quality, and Service” to serve partners and customers around the world.